I'm sure you know the old saying--if everyone jumps off a bridge, are you jumping, too? Well, in the case of scrapbooking, the answer is yes! I have been admiring "top ten of 2010" posts around the WWW, so I figured I'd try my hand at one myself. I didn't include some favorites that are out for publication (although it's always refreshing when a favorite gets picked up!) or some new faves that I can't share yet. This layout is a helpful one to have--it reminds me what REALLY defines me and what doesn't. And since I'm the sort of person that gets muddled with these things sometimes, the visual reminder that certain things matter and certain things don't is meaningful to me. And it's a two pager! Love this so much. It was one of the first layouts I made that scrapbooked my story in a "different" way--beyond "we went to the zoo and it was so much fun" (although I love those layouts, too!). I love simple, central designs. I lifted the heart with buttons idea from Celine Navarro--loved it! This layout records such a special memory for me, so it always tears me up. 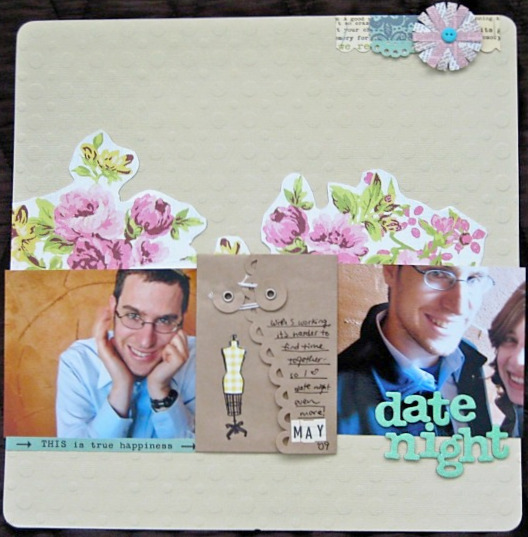 I had a BLAST creating these flowers--it brought back the fun of scrapping for me after a slump. So I will always love it for that, and because it looks like a corsage necklace on a layout! This one is about Post-its. And if you know me, you know I lurve Post-Its. It's like a sickness. Except I don't choose to see it that way. This one took a good amount of time to make, but I was on an inspiration high and loved it! I was also super honored when Susan Weinroth lifted it for the Studio Calico gallery. I rarely use dark backgrounds on my layouts, and I don't know why! I love the contrast they provide. Love the colors on this layout (go Back 40 kit!) and the journaling is really moving to me. And it's back to the therapy chair again! 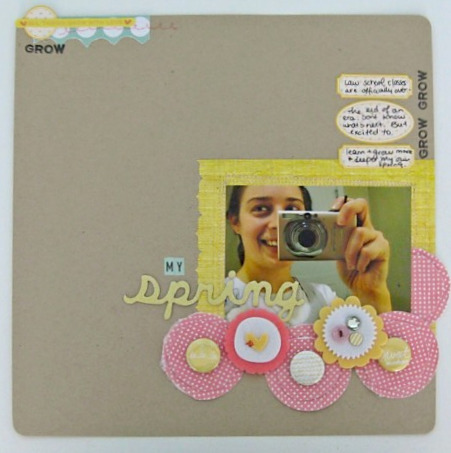 Love this one not only because of the journaling, but because of how the design makes me feel. The pinks, blues and greens are calming and I feel hopeful for the future just looking at this. I've come across some wonderful Top Ten posts here, here and here. If you've done a Top Ten post, link up in the comments below! I'd love to see! Loved seeing the collection of your favorites. I recognize some of them as being my favorites as well. :) Happy New Year! Great layouts! I absolutely love that Sacred and Mundane one! Happy New Year! 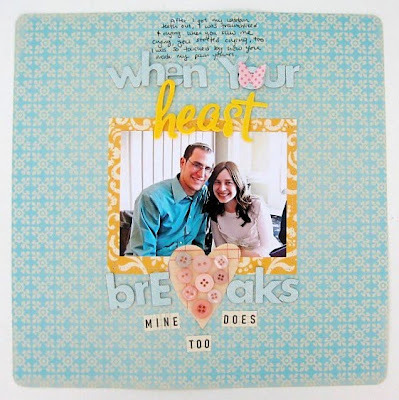 Love your layouts!! Your work is so inspiring, and I can't wait to see what you'll create in 2011. Have a great New Year! These are all so gorgeous! 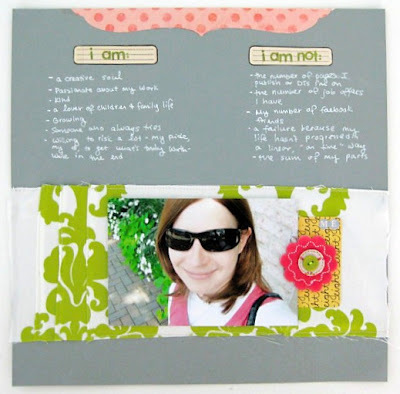 I love the Sacred and Mundane 2 pager, super cute and fun. Great Top 10! They are all fabulous! Happy New Year's and a Creative 2011! I love your top 10 layouts. What I really love about them are that they are so personal. Thank you for sharing them with us all. I did my top 12 projects on my bog. It was hard to pick just 10, 12 was hard enough. great stuff! Happy New Year!! love all your pages!! Happy New Year! Oh...so happy that the sacred and mundane made your top 10. That's one of my favorites! Looking forward to seeing what you create in 2011. $90 = 3 or 4 addons, i definitely think you made the right choice! i think my fave is the sacred and the mundane - it's perfect in every way! I love all of these Keshet! I did a top ten for 2010 as well, and here is to an even better 2011! Love all these Keshet. Especially since I only started "following" you recently, I got to see some from "before". I have two faves, both of which I've scraplifted (when your heart breaks and on this day) already, but really they are all smashing. 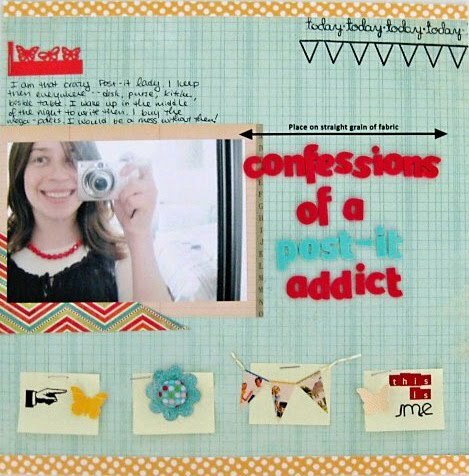 And I am completely with you on scrapbooking as therapy. Much cheaper and much more fun! A wonderful collection, my friend! 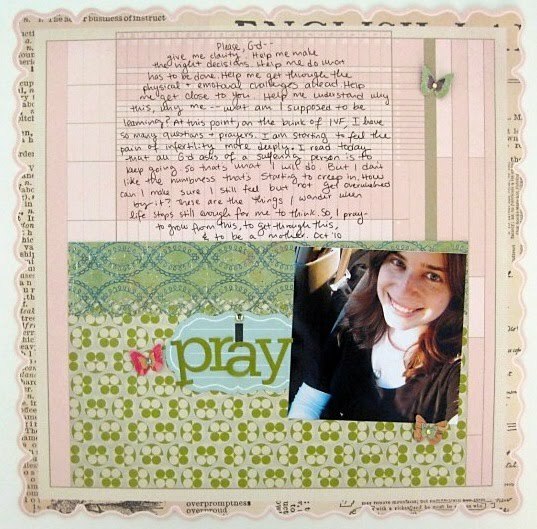 What an awesome year in scrapbooking 2010 was for you. Wishing you continued success in the new year! Great pages Keshet! You've totally rocked the product this year! Hope this next year is just as fabulous! The post it note page = my FAV!!! Love! Can't wait to see what 2011 brings for you! LOVE your creations Keshet...Love reading about you and knowing you more! We are so blessed! Happy New Years to you and your 2011! I love them all! "On this day" is beautiful. Happy New Year! I can't wait to see the Scarlet Lime gallery tomorrow! Love your Top 10! Can't wait to see what you do in 2011! Happy New Year! Gorgeous! So much fun to look back & see the creative goodness. Love them all my but my spring speaks to me! Sketchy Thursdays fun--and a cool prize!